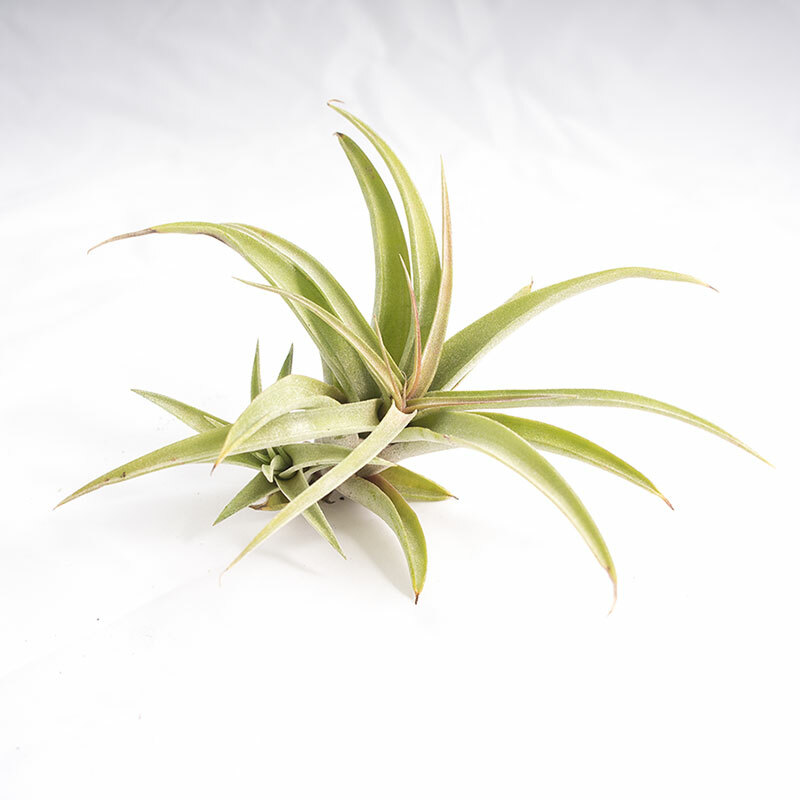 Very similar to our Capitata Peach, Silver rose is a stunningly beautiful air plant. When in bloom, it's foliage blushes a silvery rose color. 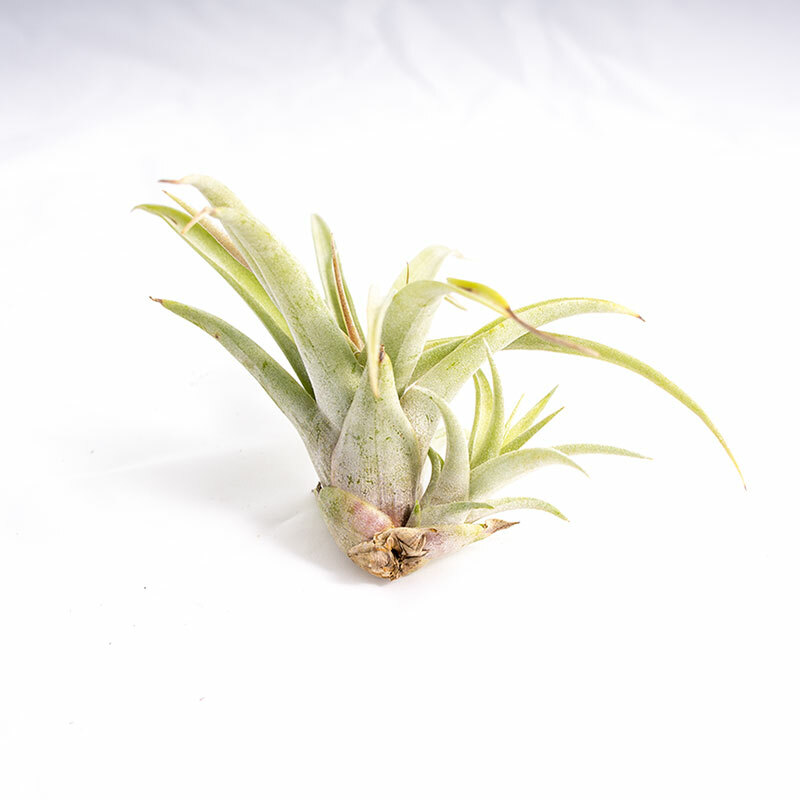 When not in bloom, it will delight you with it's slow but steady growth habits and it's ease of care. 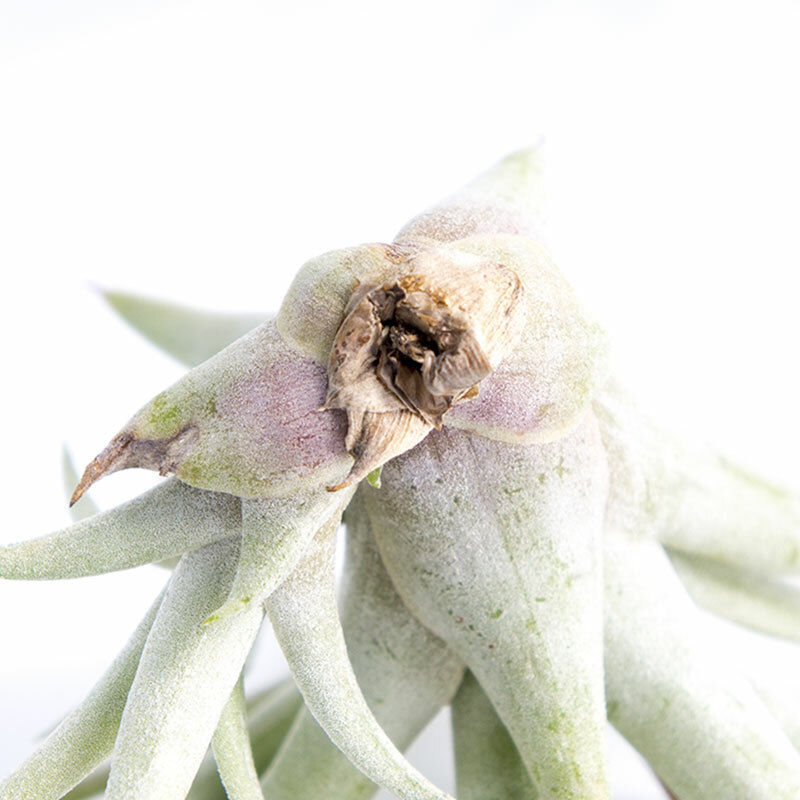 It appears fuzzy, due to abundant and pronounced trichome structures used to bring in water and nutrients. 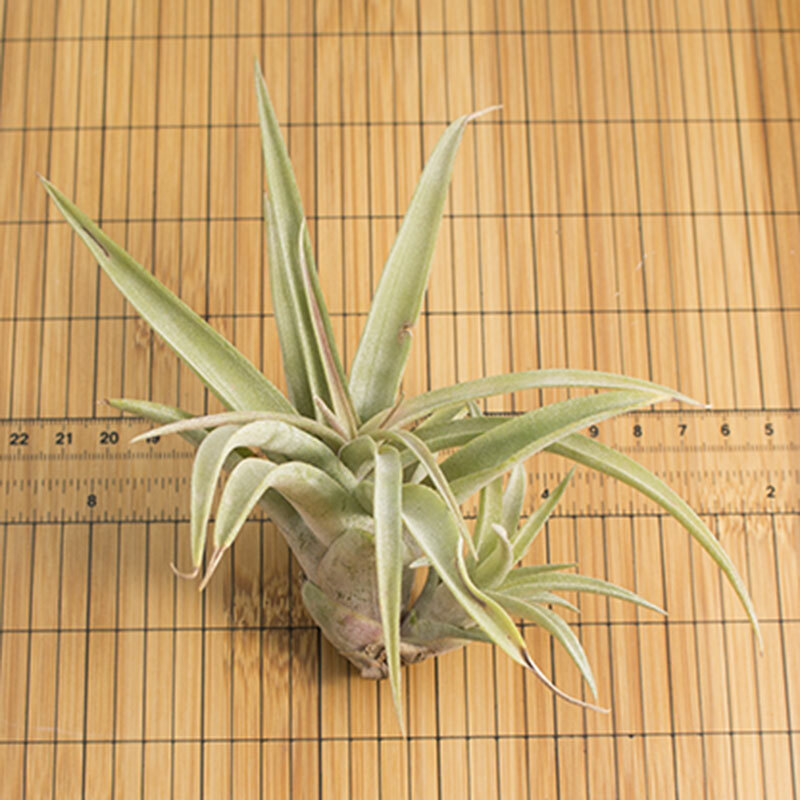 Capitata Silver Rose air plants readily multiply trhough pup or offsets. 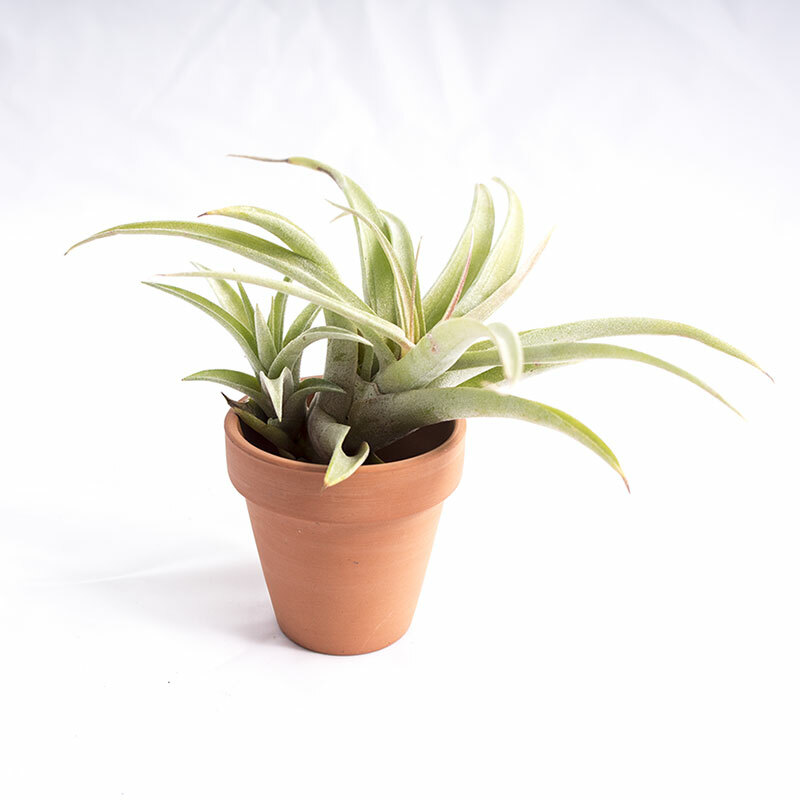 Photo shows a plant with pup and is for example only. Plant shipped is not in pup. Water 2 x week, moderate to bright light. Some short periods of direct sun are tollerated. Bring indoors when the temperature drops below 50.